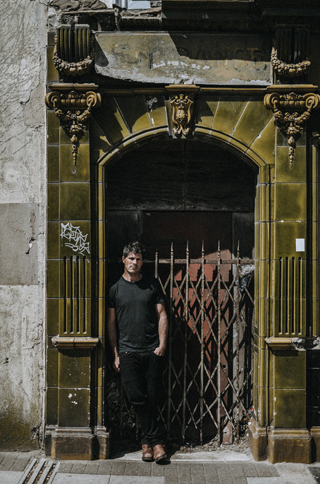 Seth Lakeman – Interview. The folk singer-songwriter in conversation. The charismatic singer-songwriter and multi-instrumentalist somehow found time this year, in between charging around the globe with Robert Plant and his band, the Sensational Space Shifters, to record his new studio album The Well Worn Path. It’s a return to a no-nonsense, organic, classic folk-rock approach with hints of Fairport Convention, Neil Young, Nick Cave and Billy Bragg – plus Lakeman’s trademark foot-stomping, fiddle bow-shredding and soaring vocals. Seth brought in top producer Ben Hillier and along with long-time collaborator Ben Nicholls on upright and electric bass, he was joined by new boys Kit Hawes on electric and acoustic guitar and drummer Evan Jenkins. One of the finest female folk voices Kathryn Roberts (Seth’s sister-in-law) also contributes sublime backing vocals to the album. You’re about to commence an extensive UK tour. Are you looking forward to playing some tracks off The Well Worn Path, your new album to a live audience? Yes, we’re going to try and play at least seven or eight tracks of it, to try and really take this record to the stage. It’s something we want to try and make sense of, because it must be nearly five years since we toured smaller venues; it’s a long time! So, it’s really exciting to get into some more clubs and those sorts of stand-up venues, get an atmosphere stirring and get a nice vibe into the band. That’s what we’re looking for; it’s folk rock! It’s meant to be loud, to get people involved and get a reaction from the audience. I really like the last track at the moment, the title track, ‘The Well Worn Path’. The weather’s quite moody up on Dartmoor, and it’s got lovely lyrics which really sum up that area. How many musicians will you have touring with you? There’s three; Kit Hawes on guitar and Ben Nichols playing double bass. Then there’s this heavy groove player, Evan Jenkins on drums, so we should all fit on the stage! You play both as a front man, and as a band member. Do you have a preference? Do you know, because you get to enjoy the audience reaction that you create, I probably prefer being a front man. You put a lot into it, and get a lot out. Plus, when I go back to being a member of the band I find I’ve got too much to do! As a multi-instrumentalist, when you’re writing a song, what instrument do you tend to pick up first? Ah! It really does depend. There’s no set discipline I go through. I have a room with all the instruments in, which I try and go into most mornings and come up with ideas, whether it be melodic, song based or chords. All string instruments really, bouzoukis, banjos and violins. I try and play the violin every day; I’ll always be playing some sort of tune, playing to my kids, that sort of thing. At the moment, I’m working on a piece for the 400th anniversary of the Pilgrim Fathers’ voyage to America, in 2020. There’s a theatre show being put on at the Theatre Royal in Plymouth, and I’m writing the music for it, so I’m working on lots of instrumentals. I’m enjoying that. Musically, what achievement are you most proud of? That would have to be the song ‘Kitty Jay’. I’ve always thought it really sums me up and everything I like about round here, Dartmoor. Yes, you grew up and still live near Dartmoor, in the fantastically named village of Buckland Monochorum, which sounds like a village from Lord of the Rings. Have you got a favourite local venue? There’s lots of great venues round here. Good pubs! There’s the Drake Manor Inn, that’s local to us where we like to play sessions and there’s The Wharf in Tavistock, the town nearby. We’re very lucky here. West Yorkshire has some of the best curry houses in the country. Do you like a good curry? I do, absolutely. I’m very very excited about getting back into all that! Do you know what, I like it quite spicy really, I go for the jalfrezi, or even hotter. I like a bit of heat! 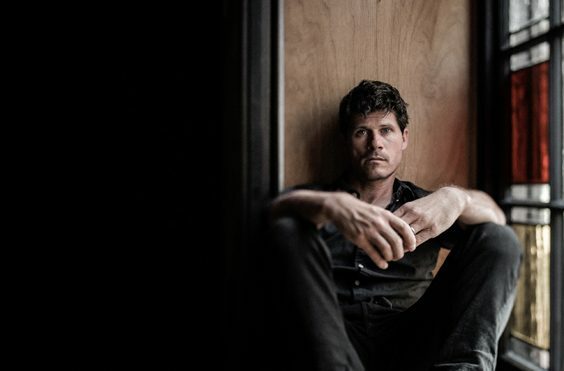 Seth Lakeman will be playing at the Brudenell Social Club, Leeds, on Friday 16th November. His latest album, ‘The Well Worn Path’, is out now.